Spring is upon us so it's time to finalize your garden plans. Proven Winners® ColorChoice®(PWCC) has several new introductions coming to the marketplace this year that you'll want to use in your garden. Here's a sampling of the new introductions for 2017. For a complete listing of PWCC shrubs and gardening inspiration, download the new edition of Gardening Simplified. 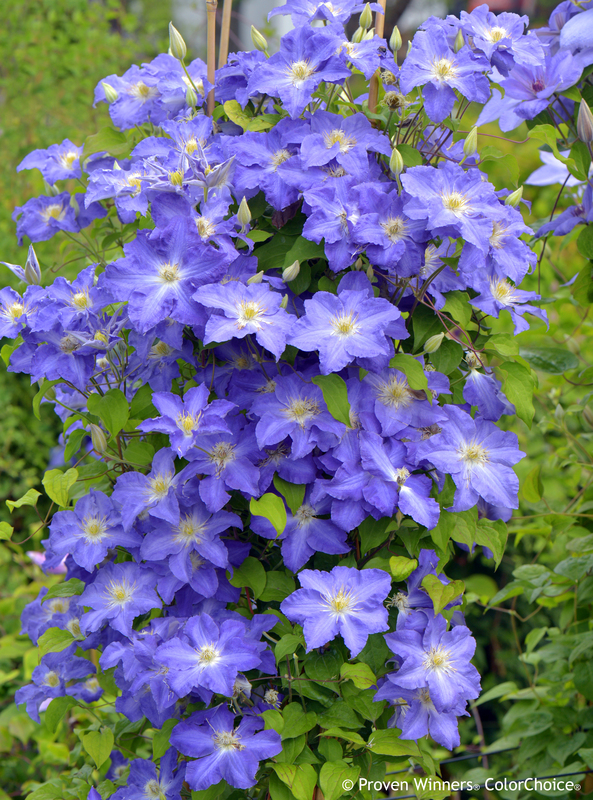 Brother Stefan™ clematis is one of the newest additions to our line of reliable, easy-to-grow clematis. Large, ruffled, blue flowers begin to appear in early summer and continue through mid to late summer. It's the perfect accent on a pretty trellis in your perennial garden, or covering a rail, arbor, or pergola. 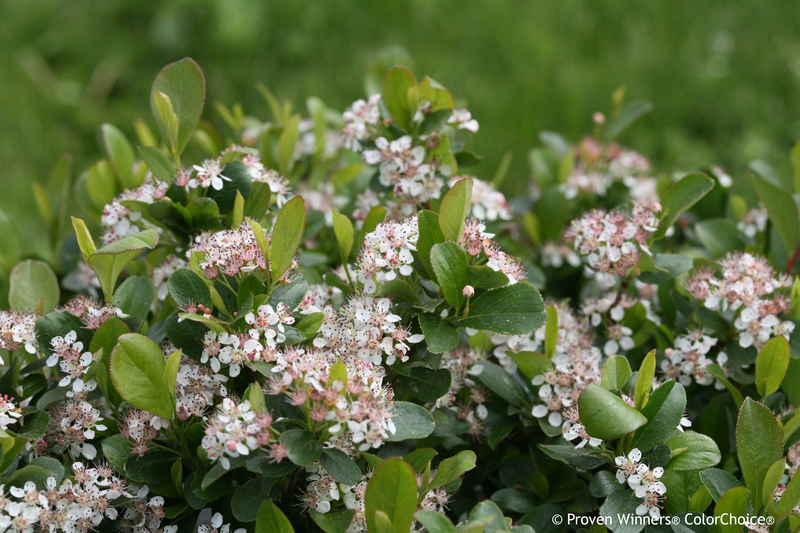 Low Scape® Mound aronia is a tough, tolerant, tidy little mound of glossy green foliage. In spring, it's covered in hundreds of dainty white flowers, and in autumn, the leaves turn brilliant red to contrast with dark purple-black fruit. The unique low-growing, mound-shaped habit of this new variety makes it perfect for mass planting as a ground cover or edging plant. Best of all, it thrives almost anywhere: cold climates and hot ones, wet soils and dry ones, sun and part shade. This native shrub will gracefully handle just about any landscape challenge you can throw at it! Need a more columnar habit? Check out Low Scape® Hedger. Glamour for the landscape! 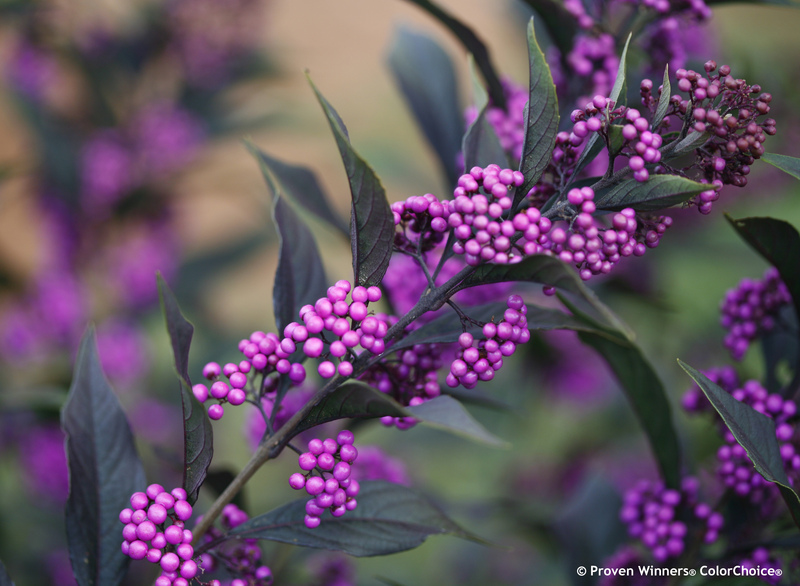 Don't settle for a beautyberry that only struts its stuff in autumn - demand one that does more. Pearl Glam® callicarpa is showy starting in spring, with dark purple foliage from the get-go. Late summer brings white flowers that yield violet-purple berries by the hundreds. Upright habit makes this a space-saver compared to more conventional beautyberry varieties, too. Make autumn more colorful with plump, pink fruit! Proud Berry™ coral berry makes it unbelievably easy to fill your landscape with these unique pink berries, guaranteed to turn heads. Cute, rounded, bluish-green leaves look handsome all season, then, in late summer, bell-shaped flowers appear. 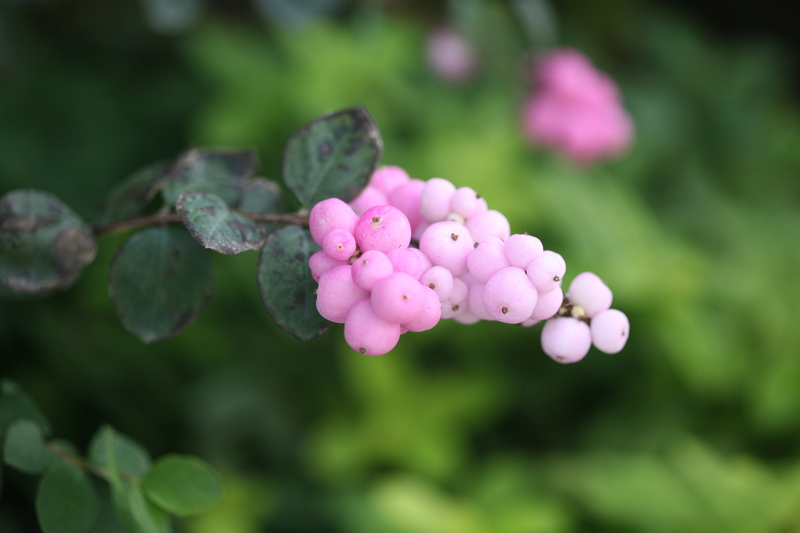 As the season changes to autumn, the flowers develop into large dark pink berries, the color intensifying with cold weather. As pretty as it is, this North American native is also amazingly tough, effortlessly fending off deer, cold weather, and problem soils. The fruit is not edible, but may be eaten by birds in mid-late winter. You've never seen a rose of Sharon like this before! 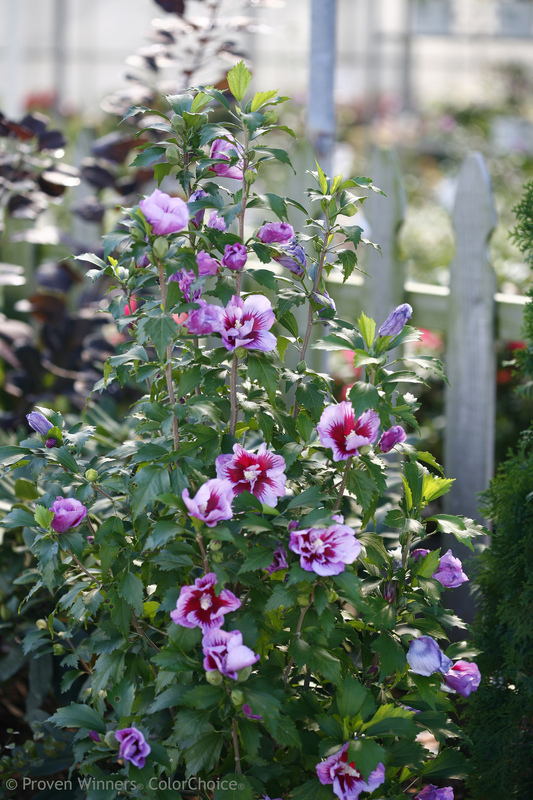 Purple Pillar® is a totally unique rose of Sharon: it naturally grows as a narrow column instead of a wide, spreading plant. It gets to be just 2-3' wide and 10-16' tall! Think of what you could do with that: screens, hedges, patio containers. Anywhere you need a little privacy and/or color in a narrow space, this plant is a great choice. Try it in containers, or flanking your front door, or simply as a quirky accent in your landscape. Proven Winners® ColorChoice® is the brand name of Spring Meadow Nursery, Inc., a market leader in flowering shrubs, potted liners, and starter plants. Located in Grand Haven, Michigan, Spring Meadow Nursery has over 500 varieties in their catalog, including over 240 varieties marketed under the Proven Winners® ColorChoice® brand, including Incrediball® hydrangea, Lo & Behold® butterfly bush, Bloomerang® reblooming lilac, and 'Sweet Summer Love' clematis. For more information, visit SpringMeadowNursery.com.